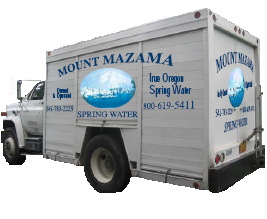 Mount Mazama Spring Water is a local, and family owned business. We provide you with the highest quality spring water that is great tasting and 100% true spring water. We deliver spring water and an assortment of coolers to your office, your home, or both. We as a family and company are committed to providing you with caring, efficient delivery service and great customer service (with a real person on the phone). 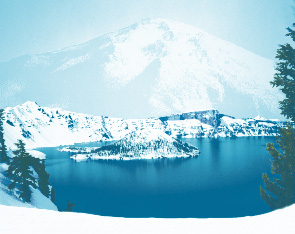 near Mount Mazama (known as Crater Lake).